As visual audio specialists, there’s nothing more exciting to us than truly understanding the technology behind our equipment, and sharing this knowledge with our customers. With many year’s experiences in the audio visual industry, we have continued to remain well-informed on the latest advances in audio technology, and make it our duty to be experts in each piece of equipment that we hire to our customers. 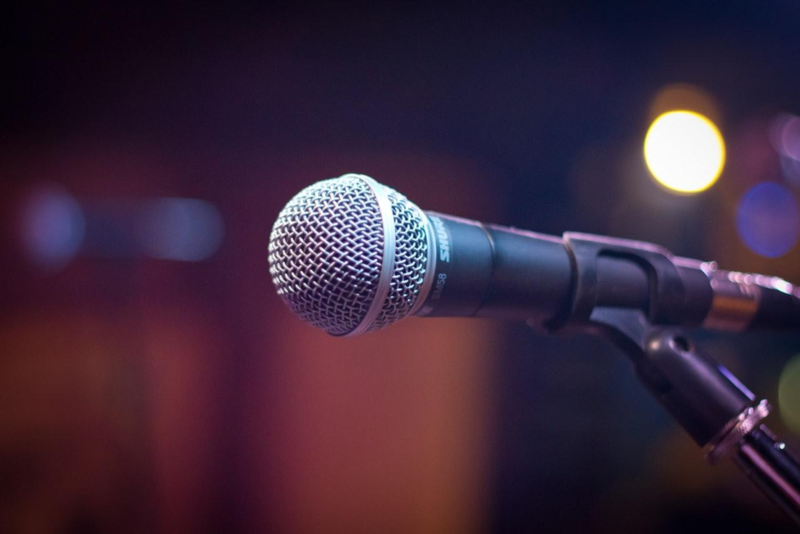 JMPS have offered microphone hire services for a number of years and we like to think we are well equipped to discuss the equipment functions and technology. This not only lends us well to advise our customers on the best microphone to hire for their event but enables us to provide our customers with as much detailed user knowledge as possible, so they can feel confident in using the equipment. So with this in mind, let us reveal to you the incredible history of the microphone, and where we find it today. Who knows, it might even spark some inspiration for your next event! The history books are rife with dispute when it comes to which inventor was the first to found the microphone. In 1877, inventor Emile Berliner designed a robust carbon-button microphone which he patented while working alongside Thomas Edison. However, the technology for a microphone had been around for many years before, with Alexander Graham Bell also experimenting with a liquid-based microphone. After Berliner’s design was patented, Alexander Bell paid $50,000 for Berliner’s microphone patent, which in modern money is estimated to be around $1.1 million. Once Bell owned the patent he began manufacturing telephones using the technology. But in 1892 all was stalled, as the argument between inventors around the globe reached a boiling point when a ruling by the US Supreme Court ruled that Thomas Edison deserved the credit for inventing the first microphone. What does serve as an interesting point, is that Emile Berliner also invented the Gramophone and founded the United States Gramophone Company in 1894. In 1878 just a few years after Berliner and Edison’s controversy, British-American investor David Hughes developed a carbon microphone. The model was the earliest version of modern carbon microphone we still see in use today. In the 1920’s Phillips Thomas worked for Westinghouse Electric, a company who hired inventors and engineers to conduct research in order to expand their knowledge on electric products. In April 1924 Thomas invented the ultra-audible microphone which could detect noises not possible to be heard by the human ear. For example, bug songs and the human heartbeat. With the increasing popularity in radio, broadcasting microphones were created to enhance the sound. As many listeners would have to listen to hissy and often muffled noises. In the early 1920’s inventors, Dr Walter Schottky and Dr Erwin Gerlach designed the ribbon microphone which enabled sounds to be picked up from either side equally well. The intricate, yet simple design, provided a flatter sound even at higher frequencies. The microphone that we know of today didn’t become a consumer item until 1964 when Bell Laboratories researches James West and Gerhard Sessler patented the electret microphone which provided a greater sound precision at a lower cost and smaller size. This model revolutionised the microphone industry and went onto manufacture over one billion each year. As the music industry began to boom in the 1980’s, Sennheiser developed the first clip-on microphone, which could allow artists to sing while moving on stage. While Sennheiser had been innovators in the microphone industry since 1945, this was one of the most ground-breaking products they had created which changed the way in which microphones were used for performers. The differences between the first microphone to its modern-day sister are simply astounding. Not only has the technology revolutionised the media and events industry, but the design of the application has become increasingly sophisticated. Where once microphones were only for the elite, anyone can now hire a high-quality microphone to ensure their event or production is of a professional quality. Microphones can now be attached to computers for podcasting and broadcasting from anywhere in the world, and with so many portable devices now available, the hands-free world is now allowing us to create presentations and productions that give people complete freedom of movement. At JMPS we take great pride in the fact that we provide well-established microphone brands such as Sennheiser, Yamaha, and Martin Audio, all on a dry-hire basis. No matter the production or event you’re looking to host, contact our team at JMPS and get the specialist knowledge on the best microphone for your project.